One of Bollywood’s favorite onscreen villains Govind Namdev apparently tried 6 different moustaches for his role in vengeance movie Spark & received acclaim for polished screen presence. villain in Spark has experimented with his looks & looks polished like never before. Recently released Spark with a star cast Rajniesh Duggal, Ashutosh Rana, Rati Agnihotri, Manoj Joshi had the central plot revolving around Govind Namdev aka Babulal in the movie & hence the different look for the villain we have seen in earlier movies. 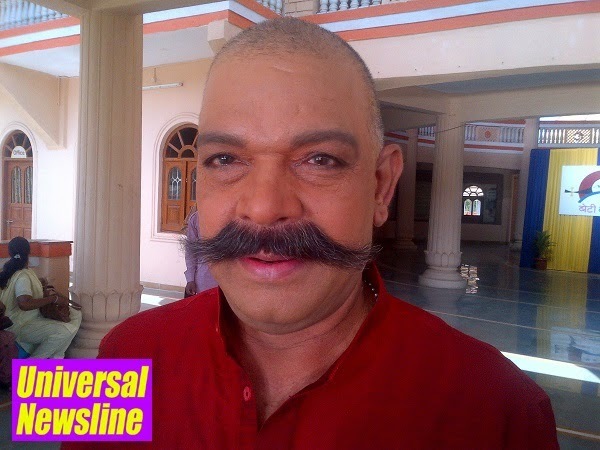 Apparently the movie has a leap of 20 years & to have Babulal look younger he had to shave off his head, ‘I spent hours with the director working on my look, and we got 6 moustaches made & went with the longest & thickest one. But for my younger character I had to shave off my head as none of the wigs gave us the satisfaction. Never before have put so much effort in getting into a character; audiences will love Babulal,’ exclaims Govind Namdev. Govind Namdev will be seen in Dirty Politics starring Naseeruddin Shah, Om Puri, Anupam Kher, Ashutosh Rana & Atul Kulkarni & also in Dussehra as the main villain releasing this December.